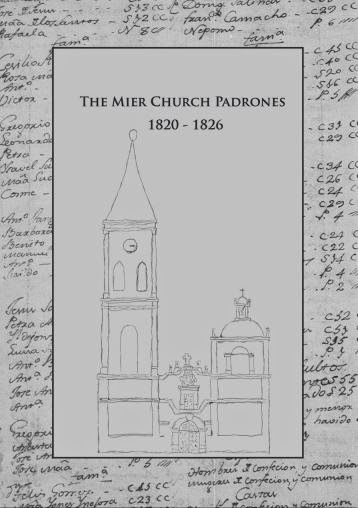 Welcome to the Mier Padrones Transcription Project that is being conducted by members of the We Are Cousins Facebook Community , but anyone is more than welcomed to join (the more the better, to finish faster). Specially anyone whose ancestors lived at one point in Mier, Tamaulipas, Mexico. Here you will find a video of the project to help you get started, a link to free transcription software, and also a list of the years completed and the ones pending. If interested in volunteering to complete a year of the Padrones please use the contact page to send me the year that you wish to help us with so that I may also update this page to reflect your help. In case that you may be wondering what a Padron is it is a Church Census that lists every person living under it’s parish. 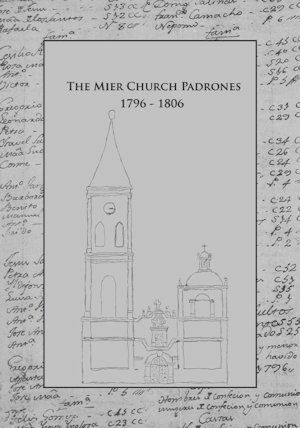 These Padrones offer a wealth of genealogical information about our families and can even help you break brick walls down and or fill gaps on missing family members of our ancestors. The end result of the project will be Three eBooks that will be available for everyone to enjoy. We are currently working on the first Book covering the years 1796 to 1806. After book 1 is done we will do Book 2 covering 1820 to 1826. The final one will be the one covering the years 1782 to 1792. I have left those years to the end since they are harder to read. Use the following link to read about it and install it to your computer. Note: Please note that if you open the RTF file that transcript makes it will look weird. Don’t worry once I receive it I will change some settings and make it look good. 2. After you Download it Please view this video to see the format to follow. Click on the blue page number to be taken straight to FamilySearch to download the images that you will transcribe. Due to the size of these years we will need 3 to four volunteers per year. I will break them down by pages once we get started with these years. 4. When done with your year send it to moisesgarza@gmail.com once I receive it I will join it to the other years and do any editing needed. 5. Do another year (optional). Before I publish the eBook I will send you a message or email to submit a half page about yourself, your experience with transcribing the Padrones and also why you volunteered This will be included at the beginning of each book you volunteer for. Everyone will be given credit for their work at the front of the eBook and also for each year done.